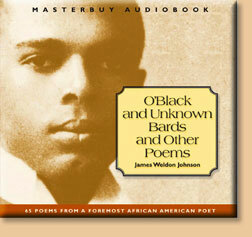 Click a button to hear a short excerpt from each title. To buy, go to the ORDERS page. Northup, a free black New Yorker, was enticed to go to Washington DC to play his violin in the stage show headlined by the congenial Merrill Brown and Abram Hamilton. 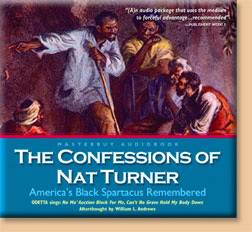 There, Northup was drugged and awoke in William’s Slave Pen and his name had been changed to “Platt.” He was shipped to the slave market in New Orleans and sold there. Platt ended up working in the fields of a southern Louisiana Parish. 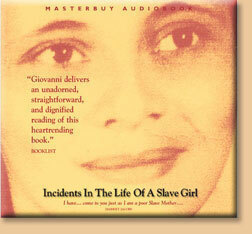 The horrors of Platt’s life as a slave are detailed. 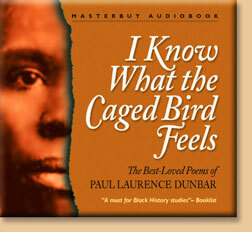 He also tells the emotionally wrenching story of Patsy, a remarkable female slave. In unusual circumstances, Platt was freed. 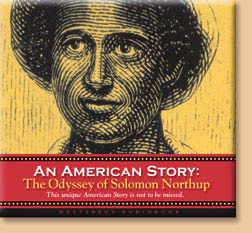 As Northup, he sued the men who had forced him into slavery. 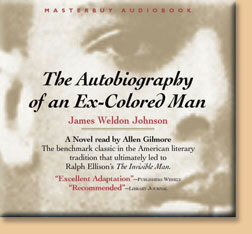 Ragtime music flavors the episodic adventures of the nameless narrator of this classic story which takes place during the “gaslight” era, as his crisis of racial identity deepens. His adventures carry him from a precocious childhood in Connecticut to painful yet eye-opening disappointment in Atlanta; on the coming-of-age experiences among colorful Cuban exiles in Florida; then north to the fast seductive and dangerous night life of New York’s Tenderloin district from which he barely escapes. Later, in America’s south, the awful terror of witnessing a burning at-the-stake lynching draws him across the “color-line” to the white world and a troubled but secure existence. 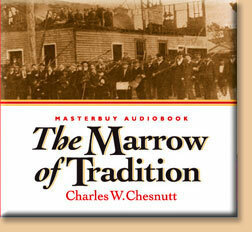 Using the Wilmington, NC riot in 1889 as his model, Chesnutt artfully explores the conflict between those ex-confederates who sought to recover power from the “fusionist” black and white office holders, near the end of Reconstruction. Interesting and complex subplots abound, peopled by colorful characters of both races, who are subjected to colliding emotions energized by race, love and greed. Hear a family discussing Kwanzaa’s meaning, what its symbols represent and what is to occur on various days during Kwanzaa’s celebration. 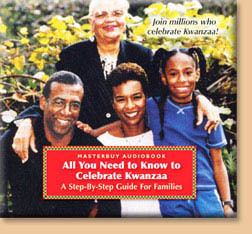 This is a guide for would-be Kwanzaa celebrants. The values espoused in these prescriptions for daily living are universal in their appeal across race, nationality, and creed and stand as ethical guides to the well-lived life. As we hear the Prayers, we come to realize that these moral admonitions easily could have been titled Prayers for All People. 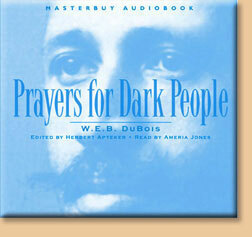 An introduction provides interesting insight into DuBois’ tenure at Wilberforce College, then at Atlanta University and how the Prayers came to be. read by Michael Collins, Anne Mitchell and Michelle Lyons. 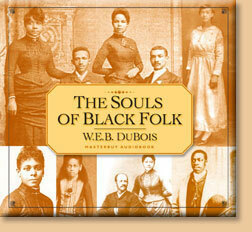 Great progress towards the world DuBois envisioned has been made since his publication of Souls. Yet, issues taken up by Souls remain relevant, certainly as historical markers, informal, non-statistical measures of where African-Americans and the nation were then compared to their existence now. Souls is an American Classic and belongs in every public library. 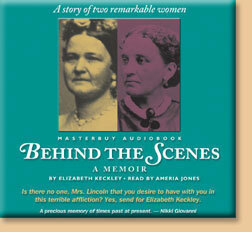 This audio book, like the printed version, should find its way as a classic in all libraries.